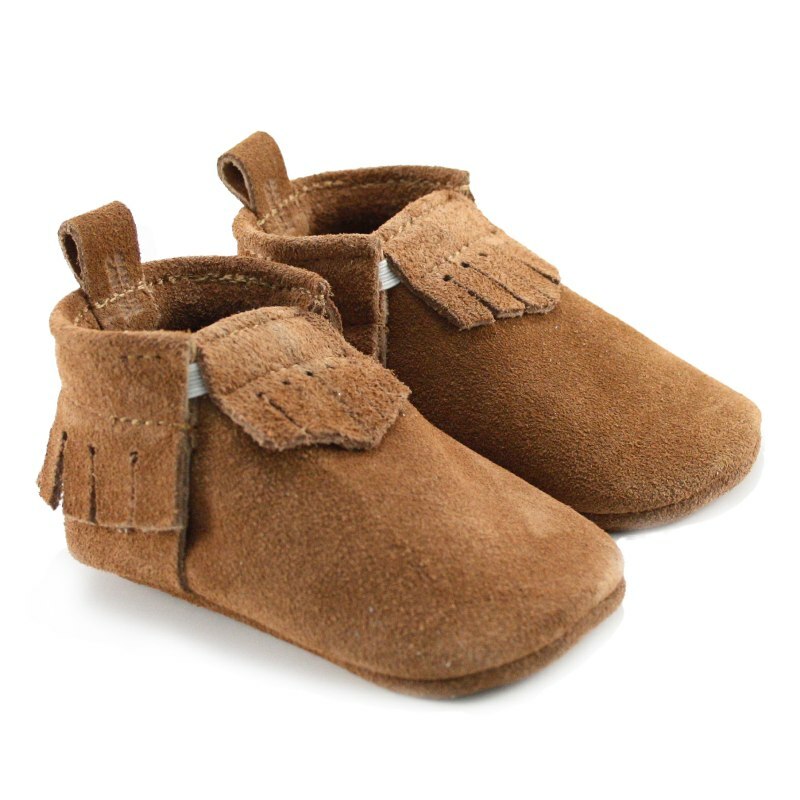 Using our super soft and comfortable leather, we carefully designed patterns for our moccasins that include beautiful little details such as tiny little holes at the top of the moccasin fringe details. As well, we incorporated a very handy little tab at the top of the heel. 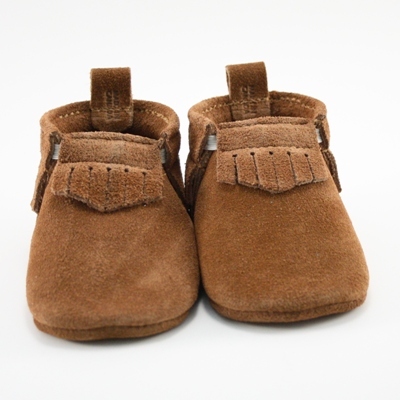 This makes putting our mocs on baby's squirmy feet so much easier, and they really stay on! 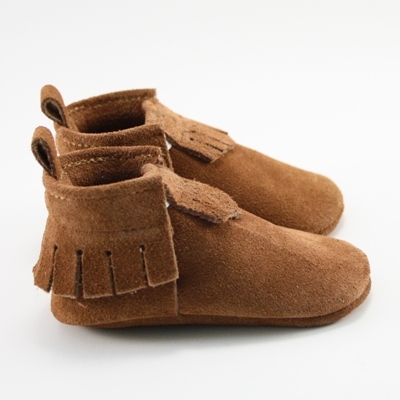 You may also notice, we designed our baby mocs in a way such that the elastic is hidden from the exterior of the shoe, giving it a nice clean look. We also took the extra step to match the stitching thread colors to the leather shoes. 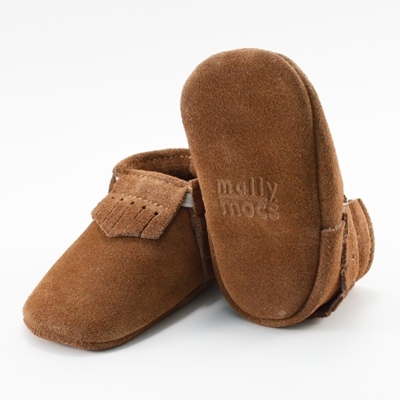 Lastly, we provided a non-slip sole on our moccasins. It's all these little details that make our baby shoes so special. Each pair is carefully handcrafted in Canada.